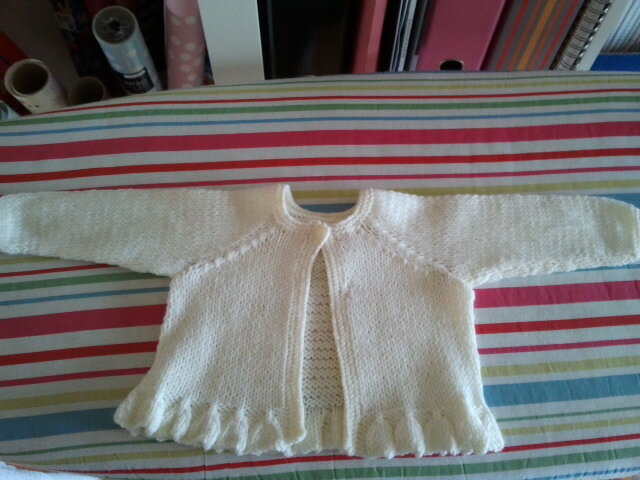 This year has been a year full of babies being born around us...a great excuse to knit (like I need one)! 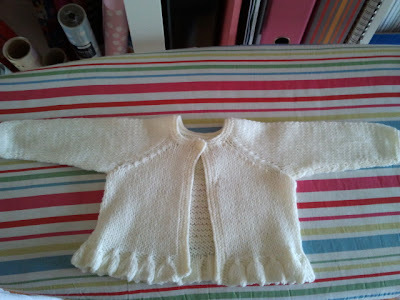 The cardigan above was knitted for our niece Emily, born in September and it's from the book "Early Arrivals 3" from Sirdar. The button I used is vintage. Este casaquinho acima foi tricotado para a minha afilhada...em azul petróleo, com Debbie Bliss Aran. O botão que eu usei (e que adoro!) foi feito à mão e comprado no pomar da Patrícia. 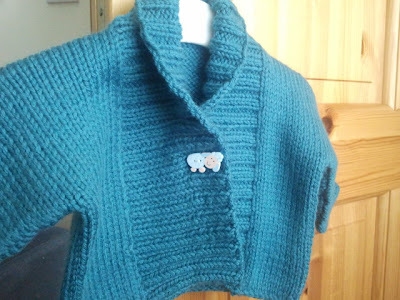 The cardigan above was knitted for my goddaughter...in petrol blue, with Debbie Bliss Aran. The button that I used (and that I loved!) 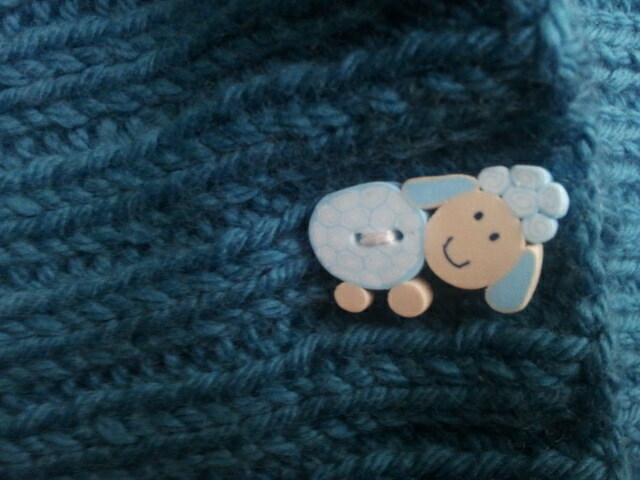 was handmade and bought at Patrícia's place. 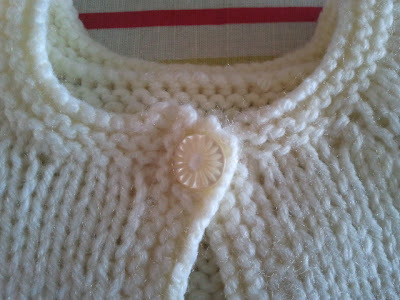 Beautiful cardi's Ana, the buttons are so cute. Big hugs, Margie. It is beautiful work! Keep going!